St. Marie Eugénie is speaking to her Sisters of their call to religious life. Her words of encouragement apply to all Christians; in diverse and complementary ways each one is called to ‘follow the star’. “The star is generally looked on as a symbol of vocation, God’s call to a soul. All of us have received this call. There was a day when we saw the star and understood that we were called by God. This is something so great that we can never be grateful enough for it. And when the star now shines in our soul by grace do we correspond faithfully? Too often we put off following the star. We do not know where it will lead us. 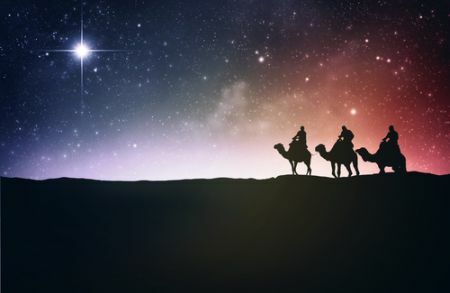 Undoubtedly it was a great miracle when He made a star to call the Magi. But is it less of a miracle when He makes light shine in a soul to draw her closer to Himself?